This is a repost from 7 years ago! 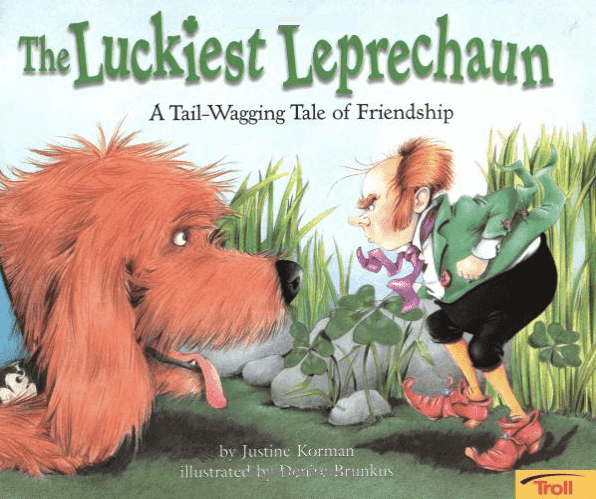 But The Luckiest Leprechaun is STILL my favourite St. Patrick's Day book so I thought it was definitely worth featuring this post. I should say, though, that St. Patrick's Day isn't actually mentioned in the book, but it has a leprechaun and it's VERY sweet and very Irish. If you're looking for some St. Paddy's Day clip art, and colouring books and FREEBIES to help you out at school, be sure to check out my latest post on GO Designs. I read this book to my class today and they liked it so much they clapped at the end :) Then, for the next hour, child after child quietly approached me and asked if I believed in leprechauns or was it only a myth. How sweet is that? Opening: "MacKenzie O'Shamrock, at your service. But you can call me Mac. I'm a leprechaun -- and I don't care if you believe in me or not. Get too close and I'll show you who's real with my hammer. I may be small, but we leprechauns are not to be trifled with! There, now that that's settled, pull up a toadstool, or a chair if you're too big, and I'll tell you my story." 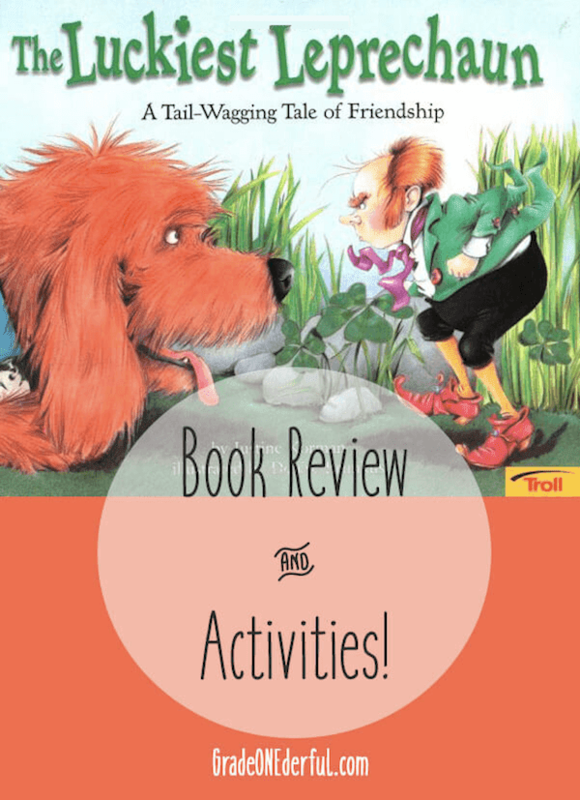 Synopsis: Grumpy ol' Mac, the leprechaun with attitude, begrudgingly befriends an adorable mutt. But not before a heart-thumping adventure or two, involving a gold-seeking human who actually believes in the little people! Why I Like It: 'Cause it co-stars a sweet doggie, I love all fantastical stories, and it's so much fun to read with an Irish brogue (and the kids don't even notice if you're awful). And of course the very predictable, but satisfying ending. 1. Lots of St. Patrick's Day crafts at Kinder Art and Little Giraffes. 3. 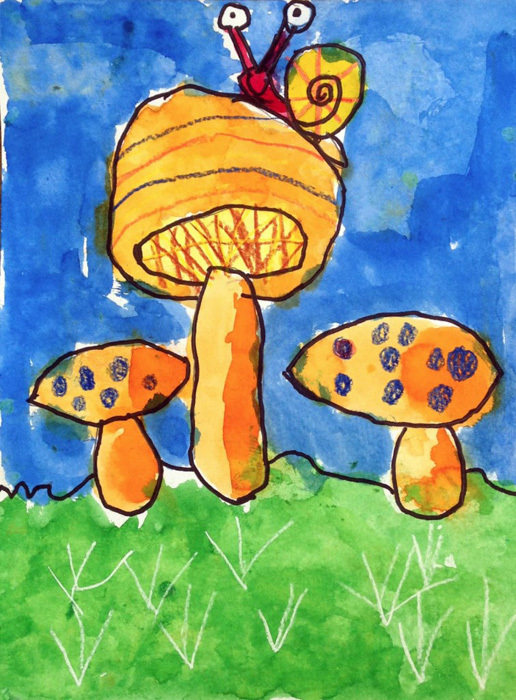 And look at this beautiful mushroom your kids could paint! This looks like it was done with watercolor, crayon and black sharpie. I couldn't find directions for it, but I imagine it's a directed drawing since it was done by a child in Kindergarten. You can see the original post at Art Projects for Kids. 4. And if you're looking for more books, be sure to go to Amazon for a wonderful selection! 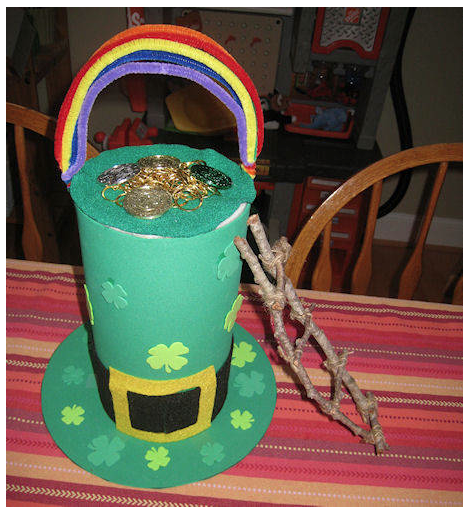 PS: You can find more St. Patrick Day ideas here. Cute book and love the toad stools! 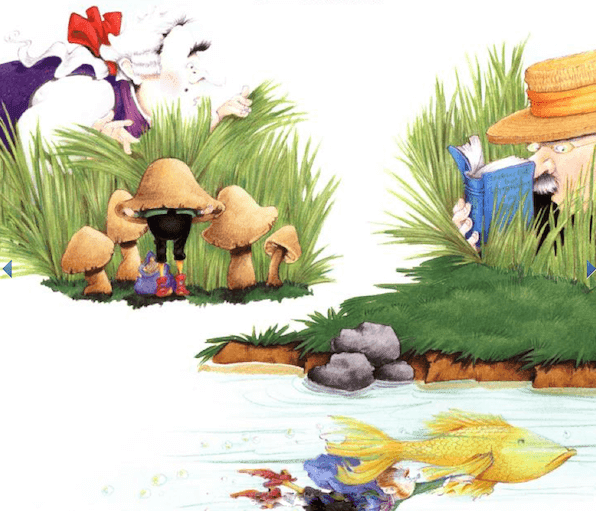 LOVE the illustrations in The Luckiest Leprechaun! That's a cute story about the kids. I love that story and the toadstools painting is really neat. That is awesome that your kiddos clapped at the end of the book! I love that books can bring about such a response from kids. Enjoy your weekend. I have to go find this book! I might need to start doing this book thing on Fridays too. I so look forward to it and I have good books to share too. Thank! So cute! I am going to have to find that book! Barbara, I always love your resources. Very sweet the kids asked if you believed. The illustrations look like loads of fun too. Glad to see a book with a Leprechaun, just perfect for St. Patrick's Day! Thanks, Barbara! You're so sweet Barbara! Thanks bunches and love books with doggies too! 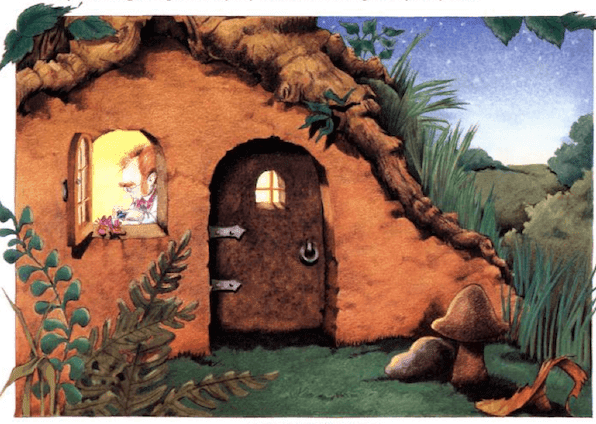 I love leprechaun books! I'm glad you reviewed this as it wounds like a lot of fun! And as always, great activities. Very cute book. So great to have a book for St. Patrick's Day. My kids have been setting leprechaun traps for a couple of years and it's so cute when they are excited to see if they caught one. Great choice. The illustrations and the line "and I don't care if you believe in me or not" had me. Sounds so fun!